The 26 episode series was created by Jonathan M. It has been certified Gold for sales over 35,000 units in Australia. She is the face of Maybelline NY in Australia. Josh Alexander is an American songwriter and producer best known for his collaborations with songwriter/producer Billy Steinberg. The song was also featured on the group's second Russian studio album Lyudi Invalidy. Regular team captains Noel Fielding and Phill Jupitus are joined by guest host Alex James from Blur and panellists Peter Serafinowicz, stand-up comic Holly Walsh and Jessica Origliasso from The Veronicas. It debuted on the Australian ARIA Albums Chart at number two and has since been certified double platinum. "Hook Me Up" is a song recorded by Australian duo The Veronicas for their second album of the same name. Produced by Toby Gad, it was released as the album's final single on 11 October 2008 as a digital download. On 21 March 2006. Born and raised in Albany Creek, Queensland she, alongside twin sister Lisa Origliasso, performed in show business at a young age. "Cruel" is a song by The Veronicas from their self-titled third studio album. It was issued on 21 November 2014 as their first release with Sony Music Australia following their departure from former label Warner Bros. The song was written by Jessica and Lisa Origliasso, and Toby Gad and was produced by Gad as well. The Veronicas is the third studio album by Australian duo The Veronicas. "Popular" is a song recorded by Australian duo The Veronicas for their second studio album Hook Me Up. 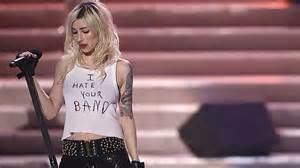 Lisa Marie Origliasso is an Australian singer-songwriter, actress and fashion designer. In addition to music the sisters market their own line of clothing which debuted in 2007. Albany Creek is a suburb in the Moreton Bay Region, Queensland, Australia. Something Quite Peculiar is the debut album by The Dear & Departed. There are six days remaining until the end of the year. "Under the Milky Way" is a single by Australian alternative rock band The Church, released on 15 February 1988 and appears on their fifth studio album Starfish. Recording sessions for the album took place from 2009 to 2011 at Plazmatek Studio, Yanou Studio 1. "Untouched" is a song by Australian recording group The Veronicas, which is featured on their second studio album Hook Me Up. "All About Us" is a song by Russian recording duo t.A.T.u., taken as a single from the group's second English language studio album Dangerous and Moving. 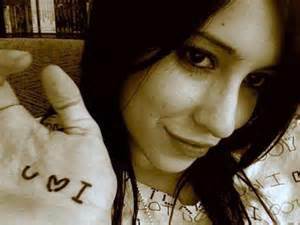 It was written by The Veronicas' Jessica Origliasso and Lisa Origliasso, together with Laura Pergolizzi and Toby Gad, while production was handled by Gad.